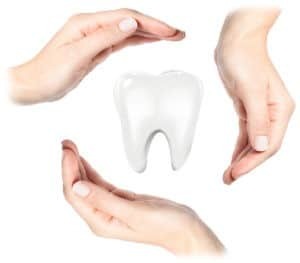 At Alpha Dental Center we understand that emergencies do not always happen during office hours, because accidents like getting a tooth knocked out, a broken tooth, severe toothache, or a dislodged crown can happen at any hour of the day. If our office is closed, you can call our after-hours service to be put in touch with a dentist who will provide instructions on how to minimize the discomfort until you can get into the office. We offer emergency care at each office. 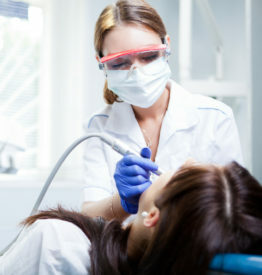 Typically, an emergency appointment can be scheduled that day or the next. Broken Tooth – Find and save pieces of the tooth in whole milk or saline solution. The patient should bite down on a piece of gauze to control bleeding and use ice packs or non-prescription pain medication to control discomfort until seen by our dentist. Tooth Knocked Out – Keep the tooth safe and moist without touching the roots. If possible, replace the tooth in the mouth and cover with a piece of gauze, while biting down gently, until you can get to the office. If this is not possible, keep the tooth safe in a container of whole milk until you can see our dentist. Toothache – Floss around the affected tooth and rinse the mouth with warm water. You many take a non-prescription pain pill to alleviate discomfort. Crown dislodged – A dislodged tooth crown can be uncomfortable and that can be eased with over-the-counter medication. While it is not the same emergency as trauma involving the tooth root, it will be handled as quickly as possible. In the office, your Alpha Dental Center dentist will use the appropriate technology to review the extent of the injury and will provide the treatment plan needed.